stairs away, right from your terrace. It’s a seasoned traveler’s retreat in Paradise. is very calm for children. del Carmen. So you are away from the crowds but not too far. great pyramid of Chitchen Itza. million acres of natural reserve. "Journey into Amazing Caves" at where it was filmed. 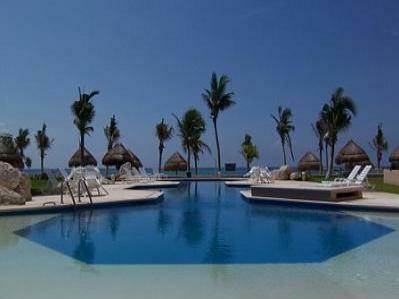 major attractions in Riviera Maya. web site link for more photos. Come enjoy it - do nothing, or do it all. "Casa de Isabela" - a seasoned traveler’s retreat. Winter ........ Jan 06-May 31 .. $300/night. Summer ........ Jun 01-Aug 31 .. $250/night. Fall .......... Sep 01-Nov 17 .. $200/night. Thanksgiving .. Nov 18-Nov 30 .. $250/night. Pre-holiday ... Dec 01-Dec 14 .. $200/night. Christmas ..... Dec 15-Jan 05 .. $375/night. Tax included. Rental rate is in US dollars. Monthly rental available upon inquiry. vacation time is the second and third week in August every year. If you're interested, please email me. Thanks.